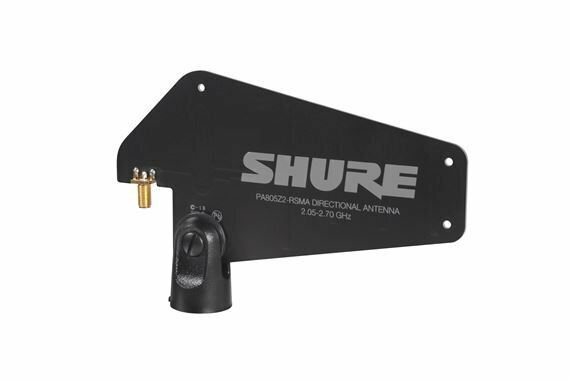 Shop Shure PA805Z2-RSMA Passive Directional Antenna For GLX-D Wireless from AMS with 0% Interest Payment Plans and Free Shipping. A key part of any GLX-D Advanced Digital Wireless installation, PA805Z2-RSMA works exclusively with GLX-D Advanced. The PA805Z2-RSMA Passive Directional Antenna both improves reception of transmitter signals and minimizes interference from any 2.4 GHz sources near receivers. Includes 10' RSMA cable. 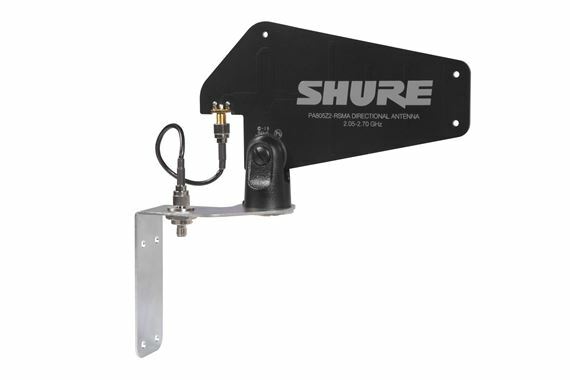 Antenna, batteries, and frequency manager are a SHURE price-gouge.